I was sooooo frustrated. Oh and for added pressure, I wanted to film my process because my YouTube channel has been so neglected. 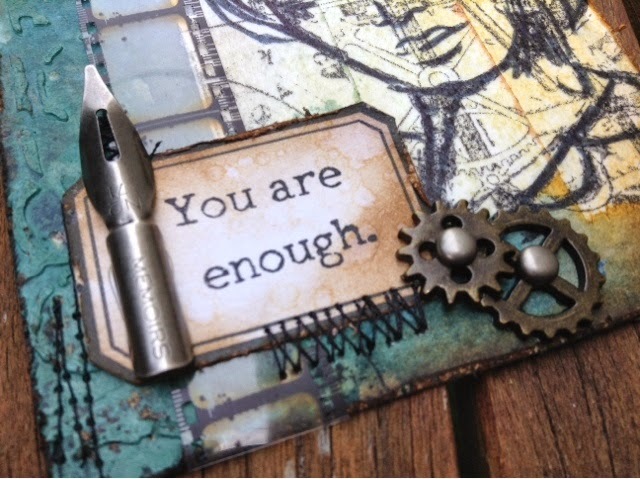 Whenever I am feeling uninspired, I go to Pinterest. 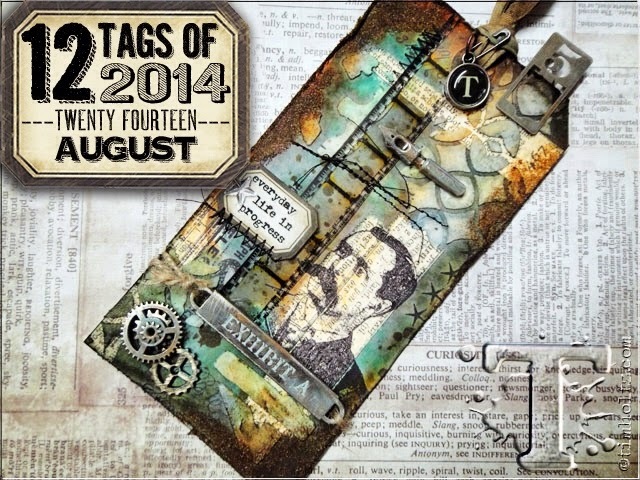 While I was there I came across some a tag done by Tim Holtz for his web series, 12 Tags of 2014. I never participate, but for some reason I just had to recreate this tag. And so, this tag was born. Not as good as coming up with my own original idea, but I will take what I can get. 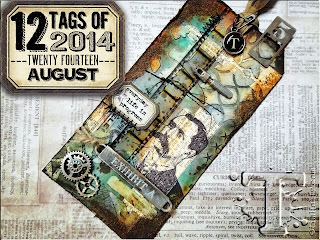 In case you are unfamiliar with Tim Holtz, here is his tag along with his tutorial . 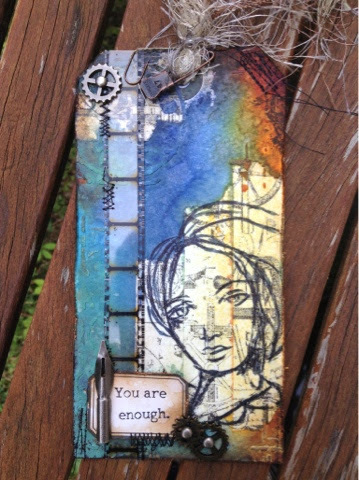 My interpretation of Tim's tag. 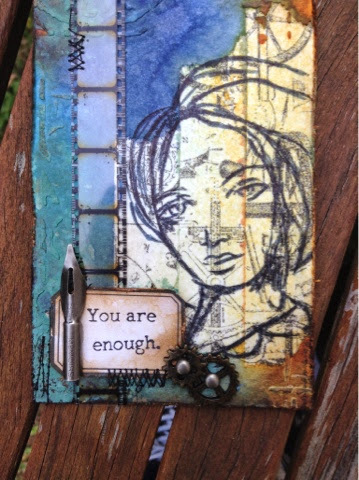 Click here to check out my process for this tag on my youtube channel! The Dina Wakley Media Stamps are amazing quality! The modeling paste is subtle, but I like that about it. The metal and stitching details make me very happy! 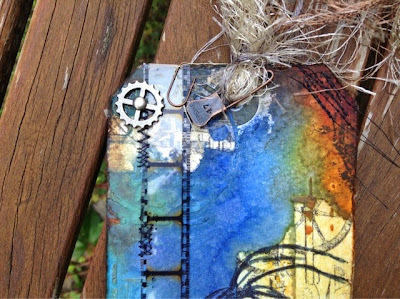 The stitching and metal make me happy too! And shhhh I like yours better than Tim's. Just stunning Jenn! I miss you on You Tube. I hope the move went well.